You’ve had your teeth straightened, whitened and cleaned…but your smile still isn’t showing to advantage? At Paul Beath Dental in Newcastle we have introduced cosmetic wrinkle treatment injections to complement your smile. Looking to refresh and rejuvenate? Did you know: the dentist you know, and trust can also administer cosmetic injectables? This simple, non-surgical procedure aims to give you that subtle glow, leaving you looking and feeling relaxed and refreshed, giving you confidence to smile. When it comes to cosmetic injectables, you really want someone you can trust. 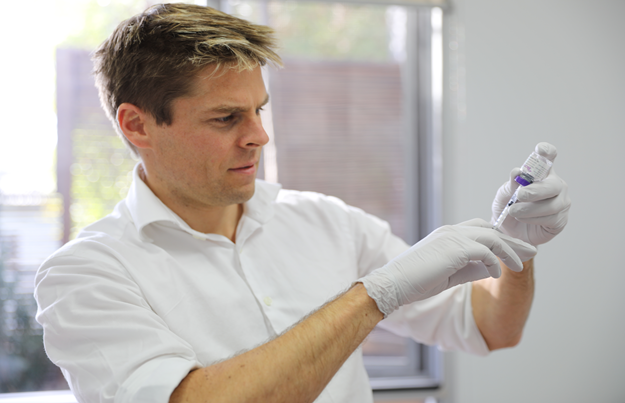 Dr Edward Boulton, Newcastle dentist, has training in cosmetic wrinkle treatment injectables by the prestigious AADFA. We administer multiple injections daily for all types of dental treatment, demonstrating we deliver the injection with expertise with minimal pain. We use the most popular anti – wrinkle product on the market. When we use cosmetic injectables, we’re subtle. Really subtle. We have vast experience in delivering injections and it’s in our interest as well as yours to make you look good without it being obvious. The trick to enhancing your smile is to relax any tiny lines around it. We can use muscle relaxants around the mouth area to relax the upper lip, minimise a gummy smile and focus on teeth and your smile. We can also use muscle relaxants on the smile lines around your eyes and forehead, giving you a naturally well-rested and fresh look. Treatment involves painless injections into the site. There is no down time. You will begin to see results 3-14 days following your treatment. You will be provided with a quotation before any undertaking any treatments, so there are no hidden costs. We offer flexible zip Pay payment plans and don’t forget to ask about our Cosmetic Injectables Loyalty Card! Plus, by going to Paul Beath Dental in Newcastle for your cosmetic treatments, your friends will think you’re just popping over to the dentist! to make a cosmetic wrinkle treatment appointment with Dr Edward Boulton.